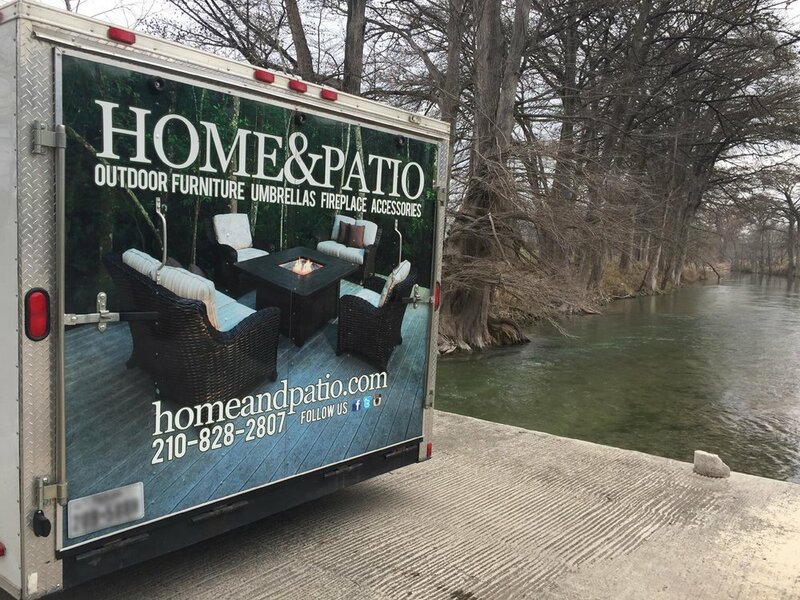 Since 1967 Home & Patio has been the source for quality Outdoor Furnishings & Patio Furniture in San Antonio and South Texas. Family Owned and Operated for 3 generations. Home & Patio offers a huge In Stock selection or Custom outdoor furniture choices. come visit either of our locations in san antonio, texas. BESIDES HAVING THE LARGEST AND BEST SELECTION OF QUALITY OUTDOOR FURNISHINGS IN STOCK, WE ALSO DELIVER AS WELL. WITH AN ON-SITE WAREHOUSE WE HAVE IMMEDIATE ACCESS TO OUR INVENTORY ALLOWING US TO OFFER YOU A FULL RANGE OF IN STOCK COLLECTIONS TO COMPLETE YOUR OUTDOOR LIVING SPACE! PLUS WITH OUR FLEET OF DELIVERY VEHICLES, WE OFFER WHITE GLOVE DELIVERY ON QUALIFYING PURCHASES. - South Texas' largest and best selection of in stock outdoor furniture.